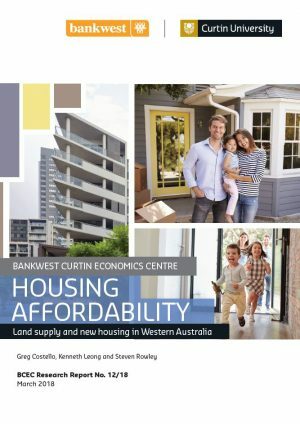 This Feature report addresses the topic of land supply, new dwelling construction and housing affordability, a major economic and social issue facing West Australian households. This report complements the BCEC Housing Affordability (2014 and 2016) reports through analysis of similar broad regional submarkets at higher levels of granularity through use of micro-data (individual transaction records). The methodology focuses upon allocation efficiency of affordable housing options across both income criteria and spatial classification. This is achieved by extending analysis from the overall established housing market to more specifically targeted housing segments associated with affordable housing. In particular, this project will focus upon “new-build” housing components by identifying and analysing vacant land and recent construction activity. What supply (established dwellings, new dwellings and land) is the market currently delivering in the Perth Metropolitan region and selected regional centres and how is this supply meeting the demand of a range of household types in a variety of income groups? Where is new land being delivered in these regions and how do costs of delivering new dwellings on this land compare to prices of established dwellings within the same regional sub-markets? To what extent do land and building costs prevent the delivery of dwelling products affordable to households in low and moderate income groups and are there additional factors preventing the delivery of such dwellings? What are the key barriers to entry in the owner purchaser sectors of the established and new dwelling markets? 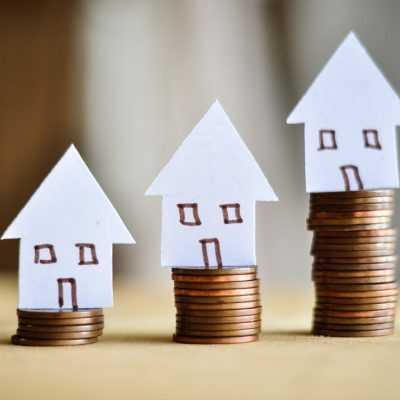 To what extent has housing policy, in particular policies focused on first home buyers, been successful in alleviating barriers to market entry and are new policy initiatives required to help households from a variety of income groups enter the owner purchaser market?